Over the weekend, we made our annual trek to the county fair. Our first order of business is always to ride an elephant, provided by Have Trunk Will Travel. 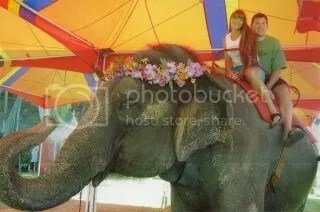 The money spent for that ride goes to support the elephants, and since I love elephants almost as much as I love cats, I feel it’s money well spent. This year we rode Kitty. 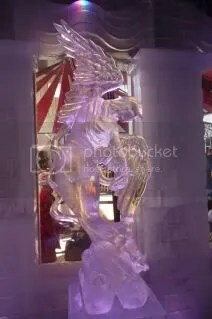 A highlight for us was a new exhibit called the “Ice Museum.” There were several sculptures on exhibit, all carved of ice! It was 20°F in the showroom (brrrr, cold! 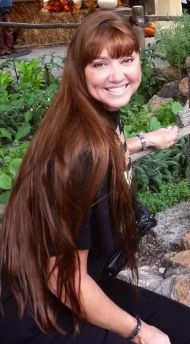 ), so if in the picture I look a little tense (or like I have to pee) you’ll know why. 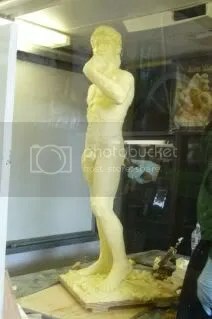 Outside the ice museum was an artist who was sculpting this statue out of butter. This here is his butterbutt, and if you look closely, you might see his butterhole. That thing up front there? I’ll let you name that. 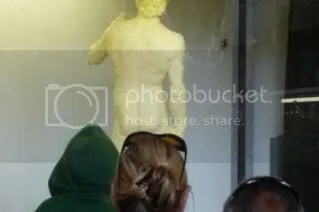 I overheard the butter sculptor tell someone that last week he sculpted a Venus out of chocolate. I’m sure there’s something Freudian in that, right? We were going to eat bad Fair Food, but I just couldn’t do it. Corn on the cob, a chicken skewer, and Dippin’ Dots for dessert were my indulgences of choice. 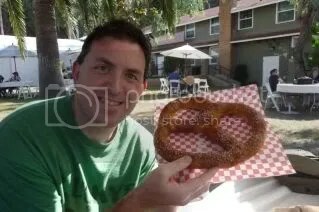 I don’t remember what Tony had, other than a really huge pretzel that turned more heads than I did as a teenager! HA! 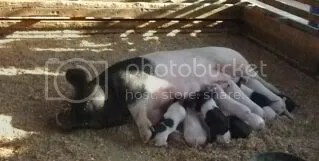 Of course, there was the garden and livestock area — this little piggy and that little piggy — they look like toes! Born on July 18th. Awwwww. Little oinkers. 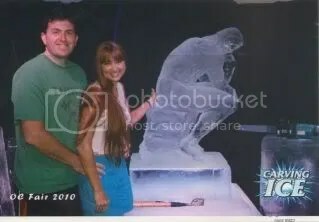 Not sure what the point of this was, and it’s kind of an odd picture. 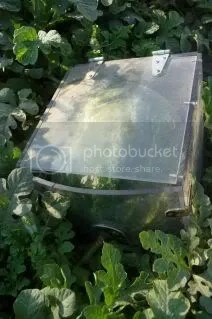 It’s a watermelon that was encased in a plastic box. May I point out that it’s outgrowing its box? It’s just not fair that the Fair only comes once a year!